Our aim is to provide our patients with the best product to suit their lifestyle, whether it be a pair of spectacles or contact lenses. Each patient is treated as an individual and products dispensed accordingly. We stock an extensive range of frames catering for both NHS and private patients, ranging from budget to designer. Our featured designers are Guess, Armani, Vogue, Michael Kors and Ray Ban, but we do stock others, check in store for availability. As independent opticians we specialise in an array of spectacle lenses. We are an approved Varilux Lens specialist and work a long side Essilor on the latest spectacle lens releases and technology. 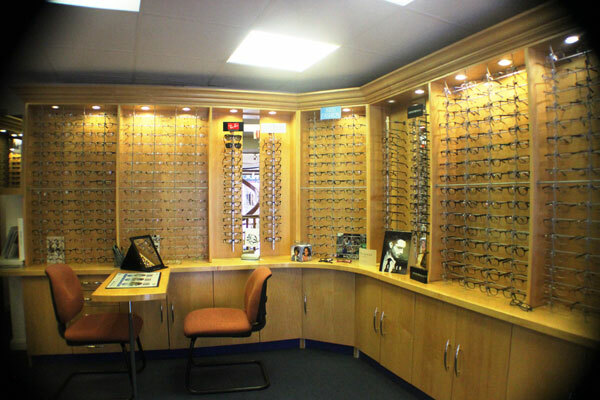 Our qualified dispensing opticians are happy to discuss lenses which are best suited to you personally for your lifestyle or occupational needs. Copyright © Bryson Bell & Clenton (2019) All Rights Reserved.